Compensatory. To compensate a spouse for their role in the relationship and sacrifices they made during the relationship for the betterment of the spouses’ lives. Non-Compensatory or Needs-Based. To ensure that one spouse does not suffer the consequences of sacrifices made during the relationship more than the other spouse, essentially to equalize the standard of living following a breakdown in relationship. Contractual. When spouses have previously agreed to pay support on the breakdown in marriage. In long term relationships, often when the relationship breakdown occurs, spouses are close to retirement age. The question is: How does retirement affect a spouse’s entitlement or ability to pay spousal support and what does the court do when a spouse plans to retire? In the recent case of Greco v. Greco, 2017 BCSC 172, Madame Justice Dorgan of the BC Supreme Court addresses the law on this question. She reviews a number of cases which have considered the effect of retirement on spousal support orders. Below, you will find a brief review of the cases she summarized. In order to be entitled to vary a spousal support order, a spouse must be able to show that there has been a material change in circumstances. 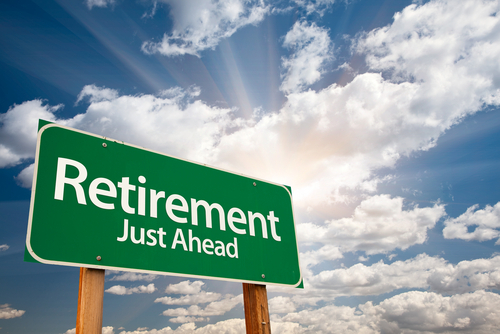 The question is whether retirement meets that threshold. A payor spouse who has reached the expected age of retirement, or who retires for medical reasons, may fairly be relieved of an obligation to continue spousal support payments, or have that obligation reduced. However, a payor spousal may not be relieved of their spousal support obligations if the retirement is voluntary and the retirement was motivated by the desire to avoid maintenance payments: see Young v. Young, 2011 BCSC 887 at paras. 38-39. In Boston v. Boston,  2 S.C.R. 413, 2001 SCC 43, the majority held that there is no reason per se that spousal support cannot continue past the date of retirement of the pension-holding spouse. The applicant will be required to demonstrate that there has been a material change in the circumstances of the parties and the reduction in income following retirement may constitute such a material change. But while retirement may constitute a material change in circumstances for the purposes of varying an order for spousal support, the courts will carefully scrutinize a voluntary retirement. In those cases, the individual circumstances of each of the parties should be considered: see Szczerbaniwicz v. Szczerbaniwicz, 2010 BCSC 421 at para. 21; Gajdzik v. Gajdzik, 2008 BCSC 160 at para. 35. … Even if the party’s motivation was not to avoid maintenance, the court will likely impute income so long as the party has the ability to earn an income. If the retirement is not voluntary because of economic circumstances, medical reasons, or an employer’s actions and the payor is unable to work, the court will tend to reduce the maintenance payable; otherwise, if the payor is still capable of earning an income, his application to terminate or vary spousal support will likely fail: Bentley v. Bentley, 2009 CanLII 3779 (Ont. S.C.J. ); Bullock v. Bullock, 2007 BCSC 318, 36 R.F.L. (6th) 150 at para. 7. Retirement of a payor under a maintenance order usually results in a significant reduction of income; that is so in this case. Courts are not guided by legislation to enquire into the circumstances of retirement. Courts have no power to compel people to work. However, courts should, in the interests of justice, refuse to consider a reduced income resulting from retirement to be a material change in circumstances justifying a variation of a support order, where a payor spouse has intentionally put him or herself out of the money in order to frustrate a maintenance order. Any such deliberate self-induced impecuniosity constitutes deceit. Szczerbaniwicz v. Szczerbaniwicz, 2010 BCSC 421: The husband voluntarily retired 18 months after the spousal support order at age 52. He started attending school and worked as a consultant with limited income. It was found that the decision was “purely personal” and that the husband should income imputed to him even though there was “a dearth of evidence” about what the husband could be earning. Fehr v. Fehr, 2006 BCSC 1440: The husband retired at 58 years old after a 27 year traditional marriage and applied to stop all support payments. At the time of his retirement, he was paying $3,800 per month. The husband’s retirement was not entirely voluntary. His employer had restructured his work causing him to need to seek other wok and the husband had medical issues. The court found that the husband had not tried hard enough to get other work and that there wasn’t enough evidence that the husband couldn’t continue to work for medical reasons. The court found that because the husband was younger than retirement age, he had chosen to take himself out of the work force “without regard to his obligations to support Ms. Fehr”. The court dismissed his application to vary support. Powell v. Levesque, 2014 BCCA 33: The common law wife retired from the military at 44 years old and applied to terminate her support obligations. At the time of retirement, she had been paying support for 12 years after an 8 year marriage-like relationship. The chambers judge dismissed the wife’s application stating that she did not show a material change in circumstances. The court of appeal did not agree and found that the wife’s earning capacity was diminished because of health reasons and held that spousal support termination was appropriate. Emery v. Emery, 2010 BCCA 229: The husband retired from being a police officer at 52 years old at the recommendation of a psychologist due to chronic depression and post-traumatic stress disorder. At trial, the judge dismissed his application to vary. The court of appeal did not agree and found that retirement due to mental illness was a material change in circumstances. The court reduced the amount of support payable to an amount commensurate with the husband’s retirement income and ordered that it would be reviewed at a later date. Francis v. Logan, 2008 BCSC 1028: A 63 year old husband retired from management upon which he expected his income to drop from $100,000 to $27,400. He argued that he had worked for a long time, his son had finished school, he was being monitored for prostate cancer and he wanted to spend time with his wife. The judge dismissed the application to terminate spousal support stating that it was “not dictated by medical needs or economic exigencies, but rather personal preferences and choices”. If you or your spouse is receiving or paying spousal support and you expect that retirement is imminent, please give contact us for more information and for a free consultation. These cases refer to people who retire before age 65. It would be nice if you were giving judgements on cases where the payee retires at 65 and does not have the means nor the health to continue support payments, even in the case of a compensatory spousal support order. What is the likelihood of a cancellation of a support order when retired spouses cannot afford to continue these payments and the supported spouse has the means to support himself/herself?